MANILA — The Philippine National Police (PNP) has ruled that Resorts World Manila has no emergency response team that’s why the lone-gunman in Friday’s attack was able to enter the hotel premises. PNP-Supervisory Office for Security and Investigation Agencies (SOSIA) has explained that because Resorts World has no such team, the guards who first encountered the gunman were obviously clueless of what to do during the incident. PNP-SOSIA Chief PCSupt. Jose Espino added that the hotel also did not adhere to the standard security protocol. They assigned only a few guards on graveyard shift of 12 midnight to 7 in the morning. Their security personnel also lack training and are not in proper uniform. For this reasons, PNP-SOSIA has decided to conduct regular review and training sessions to all security providers to ensure that their personnel adhere with the standards. The Philippine National Police (PNP) is preparing the cases to be filed against the owner of Chuzon Supermarket in Porac, Pampanga. This was after the building collapsed due to the 6.1 magnitude earthquake on Monday (April 22). Owner, Samuel Chu, will face reckless imprudence resulting to multiple homicide and multiple physical injuries. PNP Chief PGen. Oscar Albayalde said local officials of Porac, Pampanga will also face raps if there is enough evidence to prove that the permit of the collapsed four-storey building did not follow the proper process. “Probably baka nga substandard iyong building nila. But then of course mayroon ding mananagot na local officials kung bakit sila nagkaroon ng permit at kung nag-violate sila ng building code iyong strength ng materials, (Their building might probably be substandard. There will also be local officials who will be held liable for allowing the owners to secure a permit if they violated the building code)” he said. Albayalde added that the owners and local officials are still liable whether a criminal case is filed or not. “Unang-una mayroon silang mga liability, whether mag-file o hindi ng criminal case (They are still liable whether or not a criminal case is filed). The National Disaster Risk Reduction and Management Council (NDRRMC) reported that as of 6:00 a.m. on Thursday (April 25), number of fatalities has reached 16 while 86 were injured and 14 remain missing. According to the Department of Health (DOH) Secretary Francisco Duque III, the survivors should undergo a debriefing due to possible post-traumatic stress. “Pwedeng humantong sa anxiety attack or panic iyong mga taong nakaranas ng malubhang takot doon habang nangyayari ang lindol. Minsan hindi sila nakakatulog matapos iyon. Iyong post-traumatic, trauma disorder, may solusyon po tayo diyan, ito iyong psycho-social debriefing, (It might lead to anxiety attack or panic. Sometimes, they might experience insomnia. It is called post-traumatic disorder. The solution is psycho-social debriefing)” Duque said. The Philippine National Police (PNP) Criminal Investigation and Detection Group (CIDG) has conducted a manhunt against ex-policeman Eduardo Acierto and seven others. This was after they received the warrant of arrest ordered by the Supreme Court on Wednesday (April 24). Acierto and seven others were indicted due to their alleged involvement in the smuggling of billions worth of illegal drugs concealed inside magnetic lifters. According to PNP Chief PGen. Oscar Albayalde, the tracker team of the CIDG has begun searching possible areas where they can find Acierto. The seven individuals are former Customs Intelligence Officer Jimmy Guban and former Philippine Drug Enforcement Agency (PDEA) Deputy Director for Administration Ismael Fajardo; importers Chan Yee Wah, alias KC Chan; Zhou Quan, alias Zhang Quan; consignees Vedasto Cabral Baraquel Jr. and Maria Lagrimas Catipan of Vecaba Trading; and Emily Luquingan. They are facing charges for unlawful importation of illegal drugs pursuant to Republic Act 9165 or the Comprehensive Dangerous Drugs Act of 2002. The Philippine National Police (PNP) has announced that they will be conducting an investigation into the personalities included in the ouster plot matrix released by Malacañang last Monday (April 22). According to PNP Chief PGen. 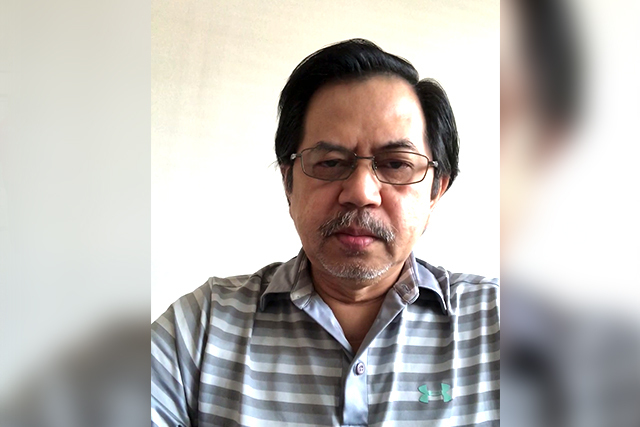 Oscar Albayalde, these personalities, which also include journalists, will undergo validation. “We conduct validation so that anytime na hingan kami ng comment namin o ng information coming from us, we can give them information. At least naka-prepare na kami, hindi iyong hintayin pa namin na utusan kami (We conduct validation so that anytime we are asked to comment or provide information, at least we are prepared. We are not going to wait to be told what to do),” Albayalde said. 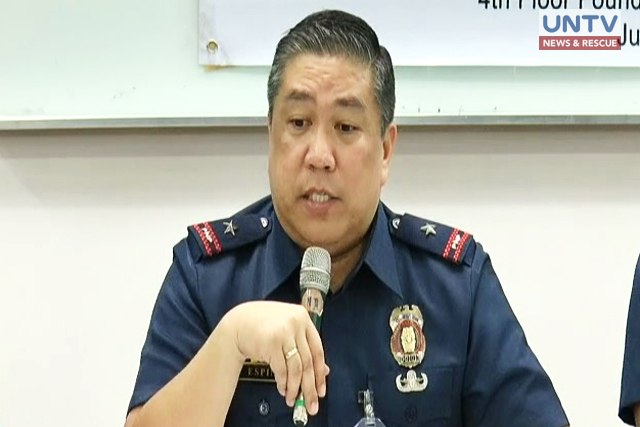 The PNP will also not hesitate to file cases against the involved individuals if there is enough evidence to prove the said destabilization plot.